What are your thoughts on sustainability? Don’t know exactly what sustainability is? Are you an EcoGeek? Or, are you somewhere in the middle? Researchers want to hear from you — sharing your thoughts could get you $20 in cash for participating! The Behaviors, Attitudes, Resources and Knowledge of Sustainability (BARKS) Survey is NIU’s first-ever campus sustainability survey. NIU has made great strides in recent years to become more sustainable thanks to the efforts of the Green Team and other units across campus. Your responses will help shape sustainability efforts in the future. Efforts are currently underway to attain Sustainability Tracking Assessment and Reporting System (STARS) certification through the Association of the Advancement of Sustainability in Higher Education. The STARS program scores college campuses across the country on sustainability performance. 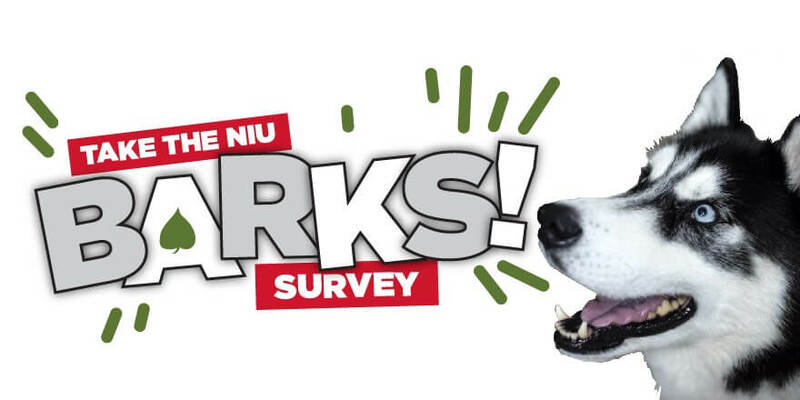 As part of NIU’s STARS certification effort, student and faculty researchers developed the NIU BARKS campus sustainability survey. The goal is to reach as many faculty, staff and students across campus as possible. Questions ask about your knowledge, attitudes and behaviors in relation to sustainability. The results will provide valuable information for a variety of departments across the university. Those who choose to participate will be able to enter a raffle for a chance to win $20. The BARKS survey can be accessed online and should only take between 10 and 15 minutes to complete. If there are any questions regarding the survey, contact Professor Colin Kuehl at ckuehl@niu.edu.